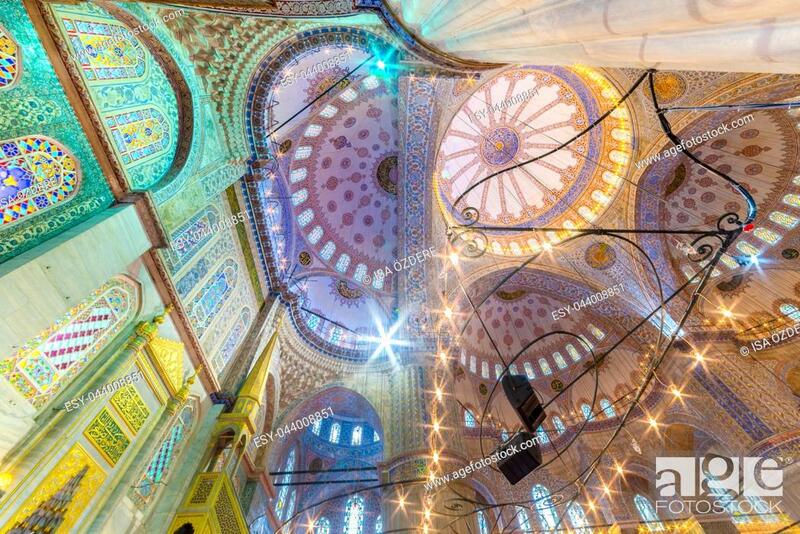 Foto de stock - Interior decoration view and artworks of Blue Mosque also called Sultan Ahmed Mosque. Ceiling and domes decorations. ISTANBUL,TURKEY- MARCH 11, 2017.